Are you in need of school supplies or clothing? Would you like to donate some gently used clothing*? 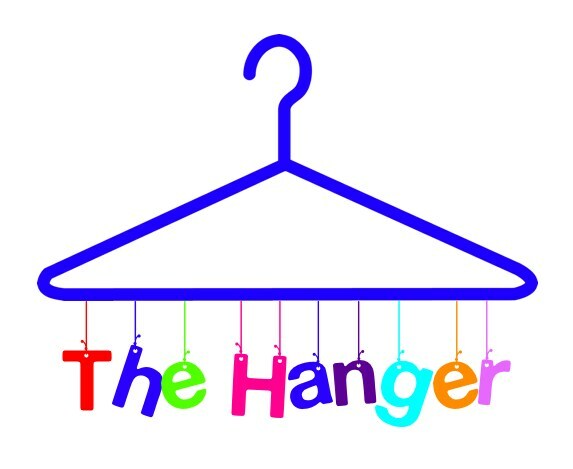 The Hanger is a Vocational Skills Classroom located in Room 703b on the Village High School campus teaching job skills to students with special needs while providing clothing to Pleasanton families in need. At the Donation Drop bin located off of Abbie Street. 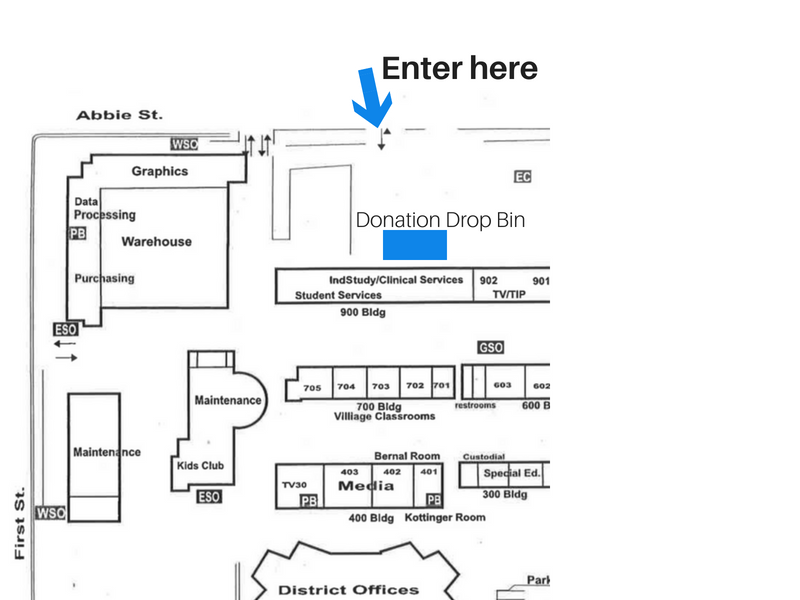 Take the third driveway on the right and look for the donation drop bin at the end of the parking lot (see map below). *We are only accepting donations of clothing, school and laundry supplies. No household items, please! We are in need of clean and gently used clothing for teenagers (boy and girl), new socks and new underwear, shoes, umbrellas and rain gear, laundry supplies (detergent, fabric softener, etc. ), and school supplies (wide-ruled notebooks, binder paper, colored markers, backpacks). The Hanger is open to families who need clothing/supplies from 4:30 pm - 6:30 pm on the following dates 2018/2019. The Hanger is located at Village High School Room 703b 4645 Bernal Ave, Pleasanton CA.